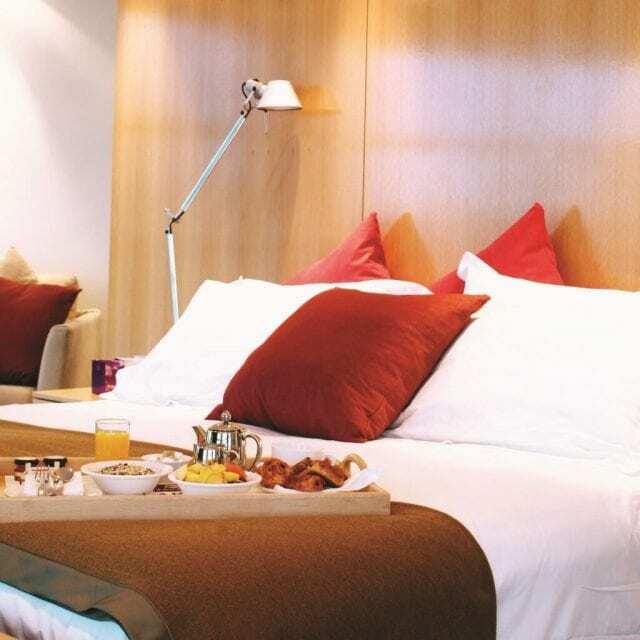 Our superior hotel rooms are available as double, double & single or triple rooms. All our superior rooms come with the standard in-room amenities that you would expect from a 4-star Clayton hotel including tea and coffee making facilities, an iron and ironing board, a large 42” flat screen LCD TV to keep up to date with all your favourite shows and a safety box that is large enough for you to securely store your laptop. 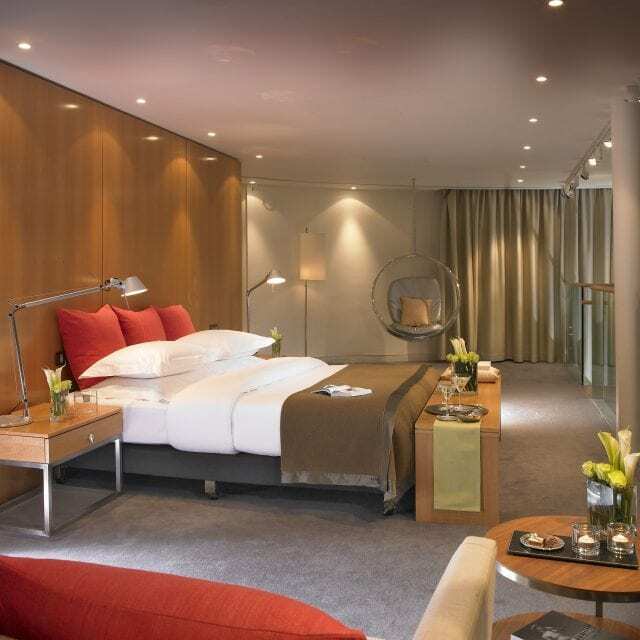 Executive rooms are bigger than standard superior rooms offering more space to relax in. They are especially ideal if you are travelling to Cork for business, offering ample space for you to work in. 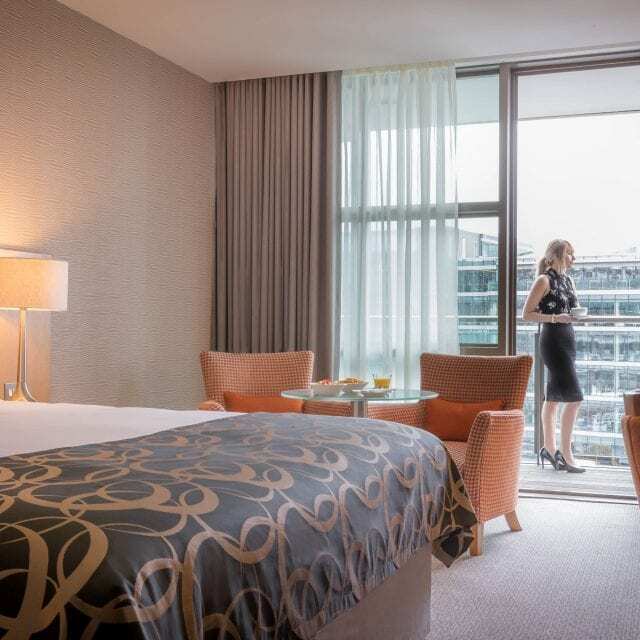 While you relax you can prepare yourself a nice Nespresso coffee in stunning surrounds of Cork city, with exceptional views of Cork City Hall and the River Lee, and avail of our complimentary SKY TV access during your stay. If required, we also have a number of accessible rooms which are spacious, consisting of a double and single bed and are designed to maximize your comfort with a range of facilities. The bedrooms are designed to allow wheelchair users adequate space to travel around the room. Furniture can be rearranged, removed or provided upon request. 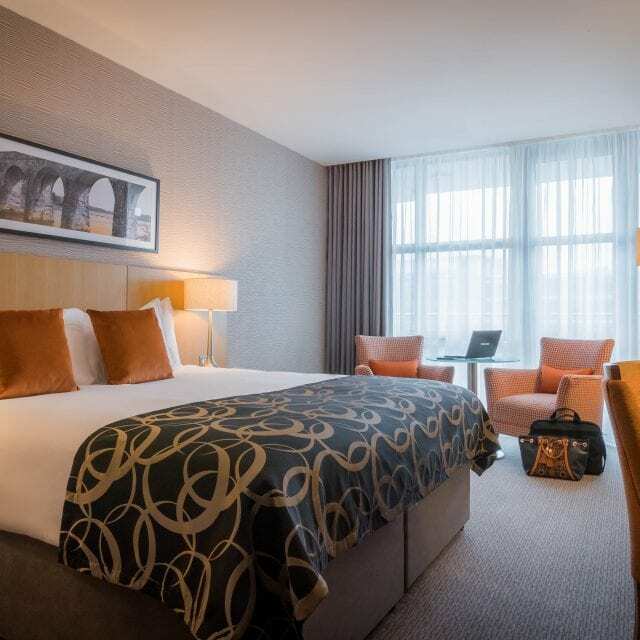 Our Riverview Balcony Rooms have a large balcony overlooking the inspired architecture of City Hall and Cork’s famous River Lee. Riverview balcony rooms are all south facing, ensuring you get the best out of the day’s sun. 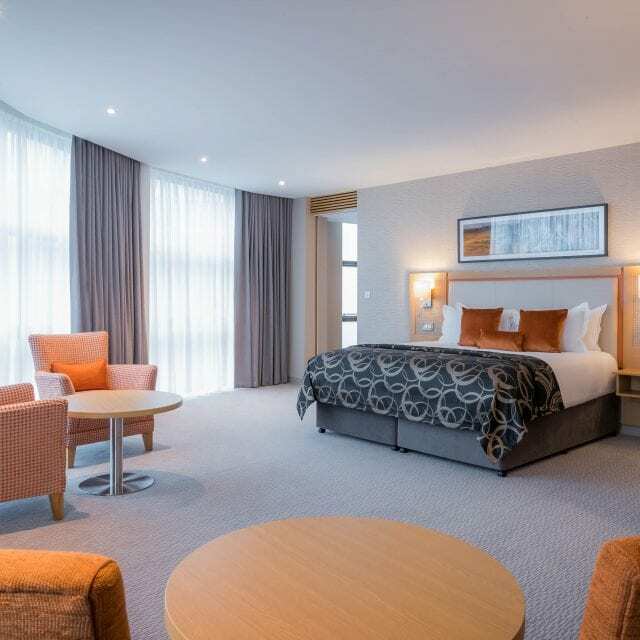 More spacious than the standard superior rooms, family rooms are ideally suited for longer stays or when visiting Cork with the family. 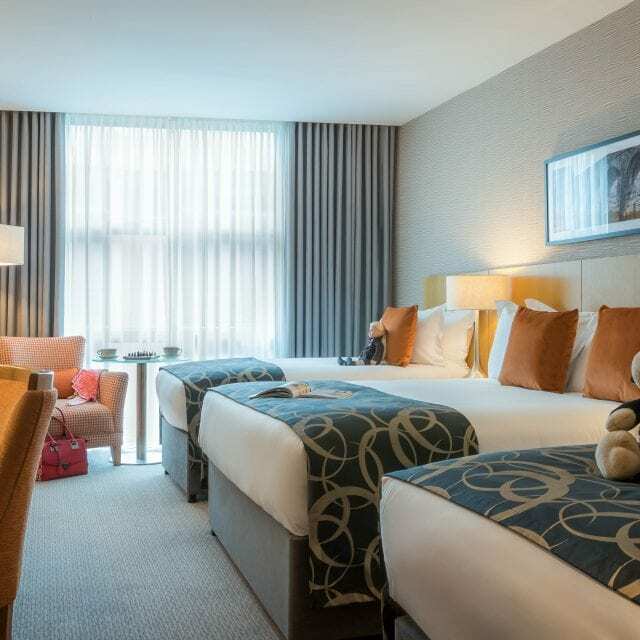 The rooms are smart and modern in design, perfect for that extra space and comfort required together with facilities which make sure your little ones’ stay is as good as yours. Family rooms have a double bed, single bed and sofa bed but some have a double bed and 2 single beds. The sofa bed is suitable for children under 12 years only. Cots are also available in these rooms upon request. 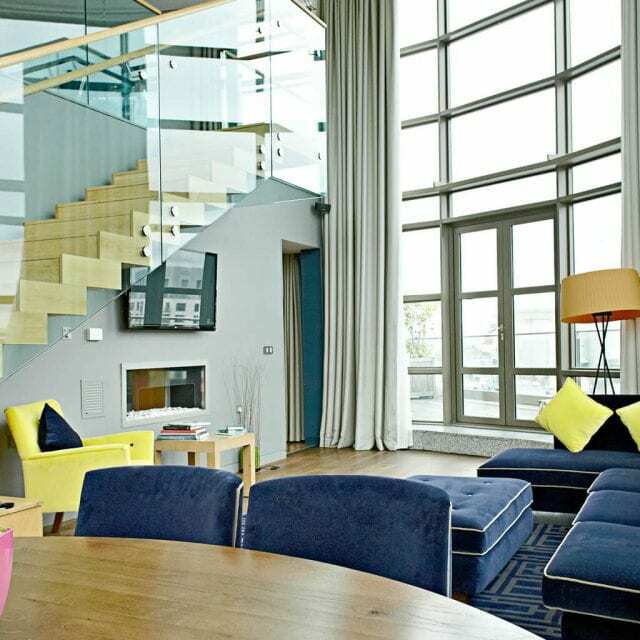 Overlooking some of Cork’s best landmarks, our penthouse is a favourite for newlyweds, dignitaries and executives. Complete with a bright and airy living room, wraparound balcony and kitchenette, the penthouse is an ideal space to entertain or relax and unwind. With a Bose sound entertainment system and plasma screen TV, the suite is also perfect for entertaining for special occasions such as weddings, hen parties, engagement parties, birthdays and more. Afterwards, relax and rejuvenate in the large free-standing Jacuzzi bath or simply enjoy the spacious bathroom and shower facilities. Enjoy the space and convenience of your own home with the luxury of four-star hotel facilities and services. 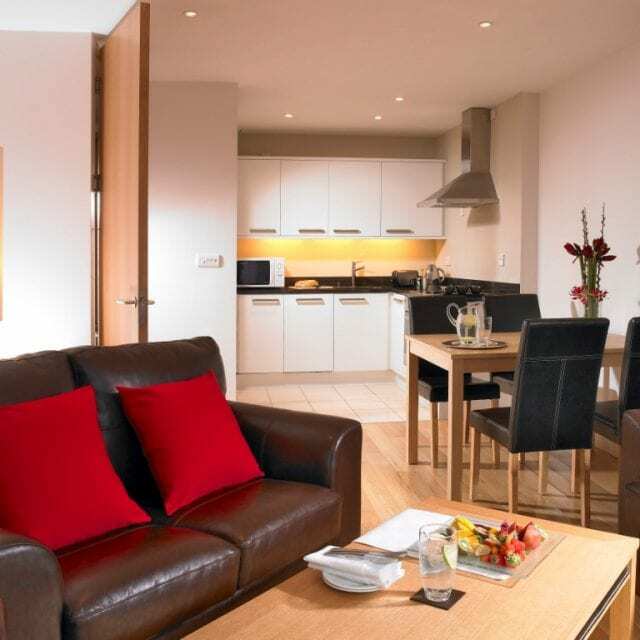 Stylish, spacious one and two bedroom apartments are perfect for extended stays, secondments or relocations to Cork. Apartments include a lobby, utility room with washing machine/dryer, storage room, bedroom with double bed and plenty of wardrobe space, bathroom with bath/shower and spacious open plan living area with fully equipped kitchenette.